We have created a list of CSFA non insurance related benefits that are specific to your CSFA retired status membership or ones we felt would be important to you as a retiree. Age has its Advantage: Save with California Casualty’s Mature Driver Discount. Senior drivers are some of the safest on the road. If you or your spouse is 50 or older, you might be eligible for a nice discount on your auto insurance from California Casualty. Learn more! The California Fire Service, published six times a year by CSFA, is the state’s only statewide fire service trade journal. Look inside for new benefit announcements along with retirement articles. Learn more! For discount programs and services that are included in your membership, click here. A list of vetted and recommended attorneys for your CSFA Retired Member legal needs. Multiple locations are listed for your convenience. Learn more! Since 1951, SF Fire Credit Union has been supporting the financial needs of firefighters and their families through our mission of Service, Tradition and Innovation. They are proud to have the CSFA in their field of membership. Learn more! 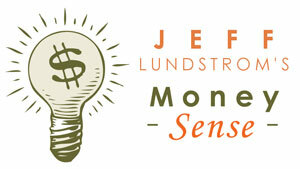 CSFA’s recommended financial adviser, Jeff Lundstrom, provides his weekly economic updates. Read them here. Pure and refreshing. Every time. We believe it is the unique combination of temperature, taste, and transport that make a Hydro Flask more than just a water bottle, and allows us to deliver what no one else can – unexpected refreshment each and every time. To apply for your CSFA Member pro discount, visit here.